And again we have a game about Harley Quinn. This time this brave and audacious girl decided to assemble a new team, and for this she needs the best candidates. She is looking for in a beauty salon, which she opened herself. It turns out this is not a very simple process and you need to try to do makeup and change the hair style in the style of Harley Quinn. In this game you will meet Disney princesses. Elsa, Rapunzel, Ariel and Moana are not against trying themselves as members of a team and gladly came to the beauty salon. 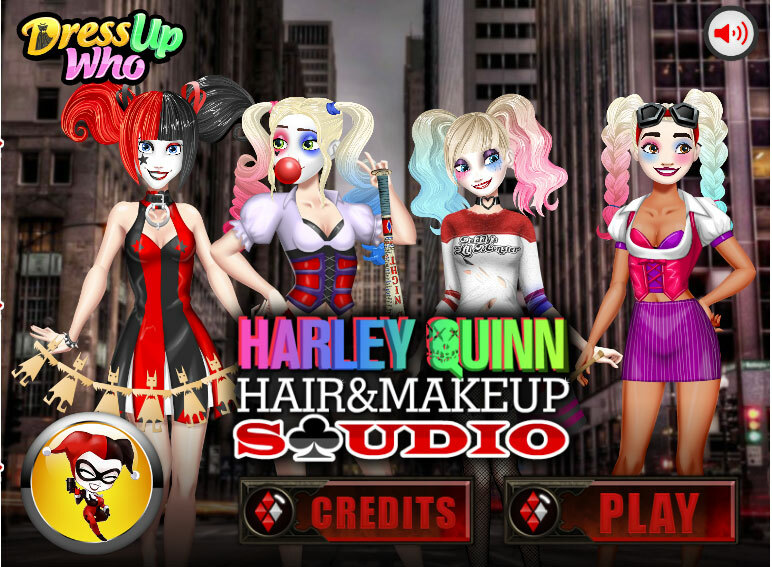 In the game "Harley Quinn Beauty Salon" you and the princesses will find out that it is not so easy to make such hair and makeup like Harley Quinn. It takes a lot of effort. But if you are not afraid of difficulties and go through the whole game to the end, then you will find out how your team of villains consisting of Disney princesses will look like. Played: 2088. Added: 14-11-2018, 09:07.